In the Warhammer 40,000 universe, this is the very start of the Horus Heresy that marks a turning point in the Emperor’s reign. 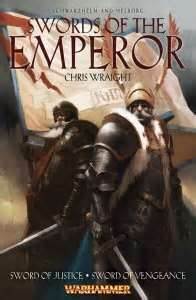 After the immortal emperor has led his armies and created a golden age of discovery, he leaves his son, Horus in charge of his greatest crusade, and his promotion to Warmaster should have made him proud of his favourite, yet Horus steers from the righteous path and this is where the story gets interesting. For those who have read his other novels, Dan Abnett has the ability to create an atmosphere in an instant, and draws the reader into the situation with the greatest of ease. He has the story told by an unlikely person, leading readers to believe that Company Captain Garviel Loken will relate it, but even that is a bluff. The story became one of the most unexpected events in the history of the Luna Wolves, and will never, ever be forgotten. 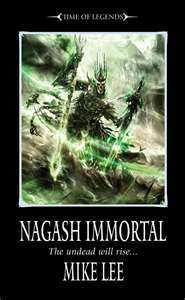 As one of a staggering twenty-five novels in the Horus Heresy series, Horus Rising is the beginning of discord within the ranks. 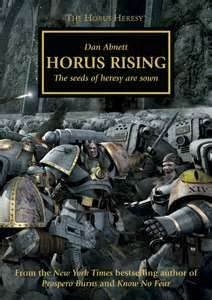 Dan is also the writer of New York Times bestselling novels Prospero Burns and Know No Fear and has more than a keen grasp of the Warhammer novel series. In the book, Horus is appointed to the role of Warmaster yet he desires to fight. He is prevented from doing so as he is considered too precious to lose being one of the Emperor’s sons. He loathes not being a part of the war and sees the Emperor keeping him out of the action as a question of his abilities as a warrior. Horus is a proud and cocky type who expects the respect he gets, and Dan creates the interest in that character. 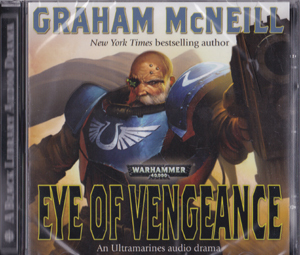 The hardback comes as a collectorâ€™s edition complete with four commissioned black and white illustrations, an author afterward and details of new novel, Angel Exterminatus by Graham McNeill. Dan’s afterward is an intriguing look behind the scenes of his novel, for both the making of it and the hope that the fans enjoyed it. Even though he is a professional writer, he still wonders whether the fans will take to his books, and whether he portrayed the characters correctly. There is a gradual development of the story that drip feeds information to the reader in a clever way. He has penned three other novels in the series, and it is understandable as he has a real feel for the characters and atmosphere. 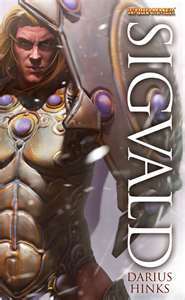 Characters such as Loken, Ekaddon and Horus are brought to life along with other Warhammer novels, Dan can convey a lot, and continues to be one of the most prolific writers of the series, and I for one can’t wait to read another.